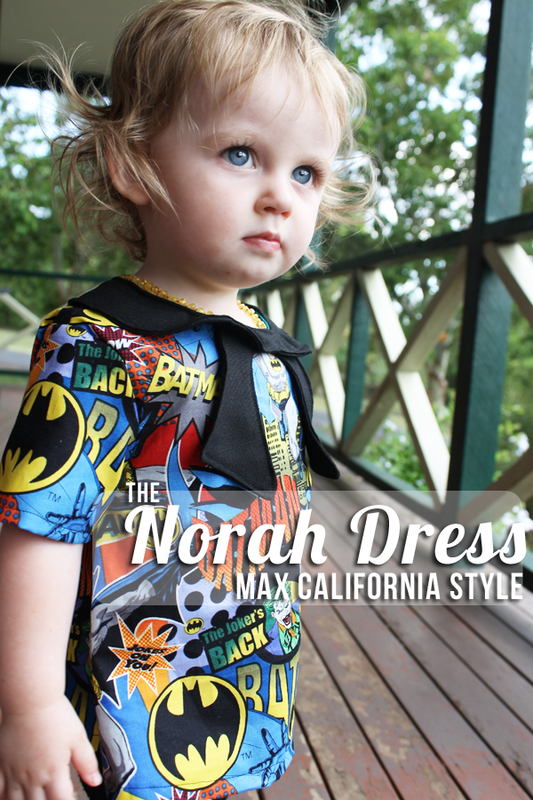 Max California: The Norah Dress - Max Style! 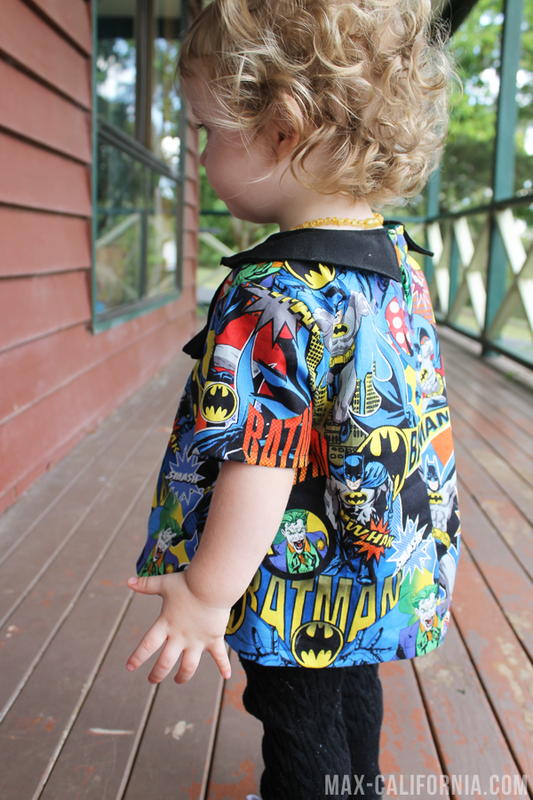 The Norah Dress - Max Style! These last two months have been HECTIC. 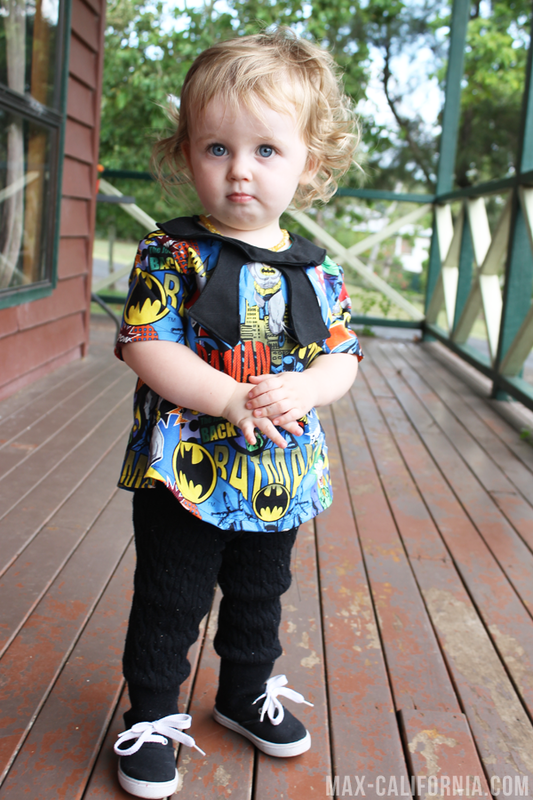 I've been super duper busy, but I'm so happy to bring to you today my version of the Norah Dress! Seen it around? Probably! It's brought to you by the talented Hayley of Welcome to the Mouse House. 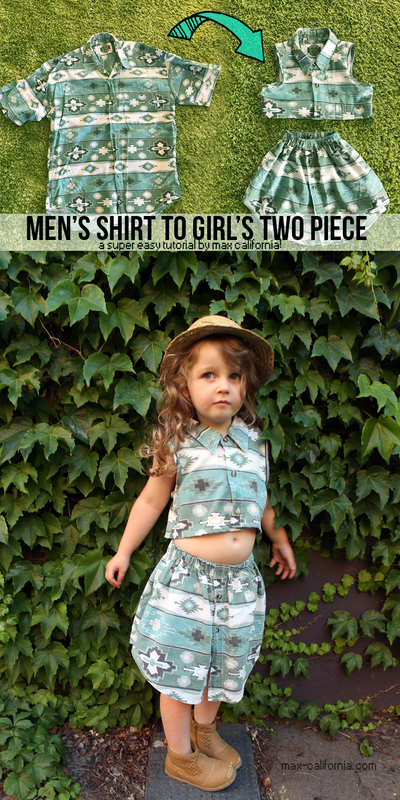 It's a sweet little dress pattern, with a fun feature collar. 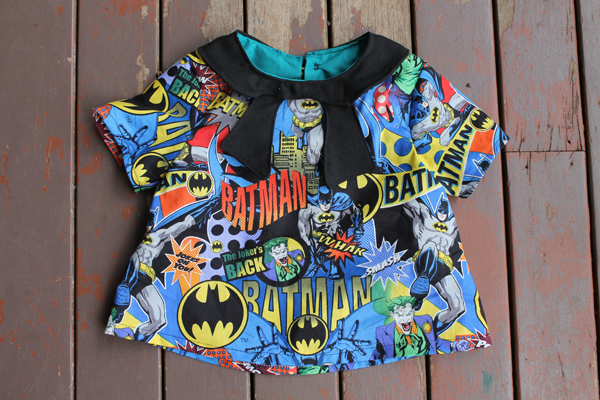 However it's also one of those pattern where you have a myriad of options. 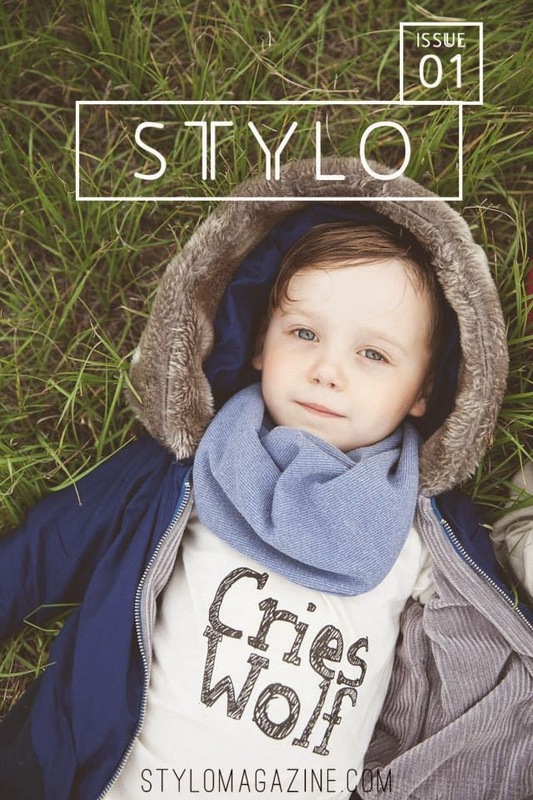 You can have it with no sleeves, long sleeves or short sleeves. You can have it with the collar (piped or without? ), collar with the ties, collar without the ties, or heck no collar at all if you want? Oh you don't want a dress? Then make it tunic length. Seriously. I love patterns like this. 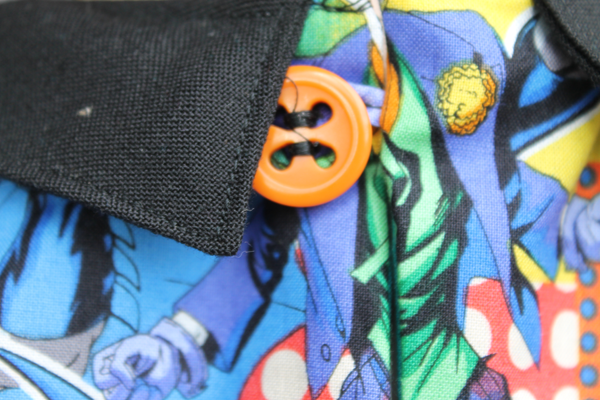 The back has a neat little closure. Simple to look at and simple to sew too I promise! I love when you use a pattern and you learn how to do new things! This time it was that awesome back! 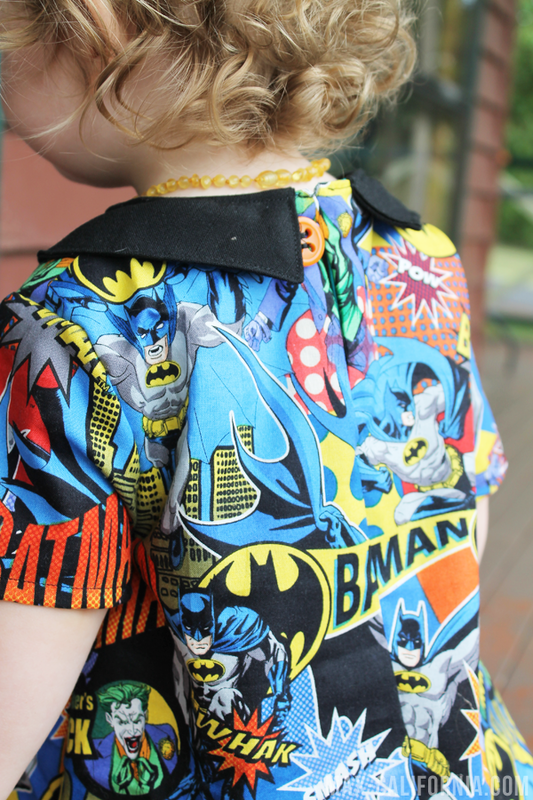 It sewed together like a dream, the instructions were so simple and very clear to follow. After cutting it all out, I swear it didn't take me longer than an hour to sew it all up. 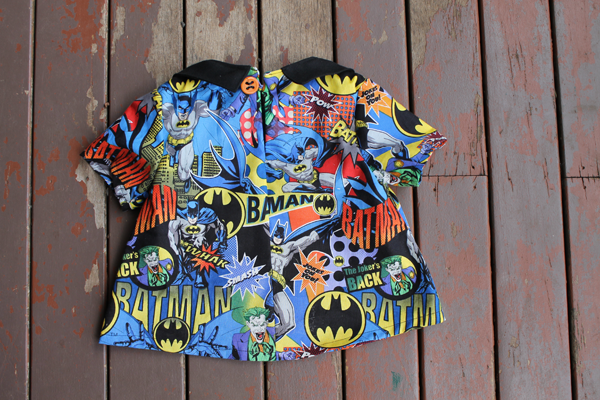 I used some rad Batman fabric in my stash and paired it with some black I bought from the op shop a little while ago. The lining is a really pretty teal cotton that I think is my favourite colour. I need to get more of it! I used an orange button that reminds me of an actual orange slice. I can't remember where I got it from, but I will link to it in a future post if I remember! You know when you use a pattern and you really like it a lot? Well this is one of those pattern I really LOVE a lot. From piecing the pages together to make the pdf-printed-out-pattern I knew I was going to enjoy this! The pieces go together incredibly easy, everything is explained so perfectly in the instructions. 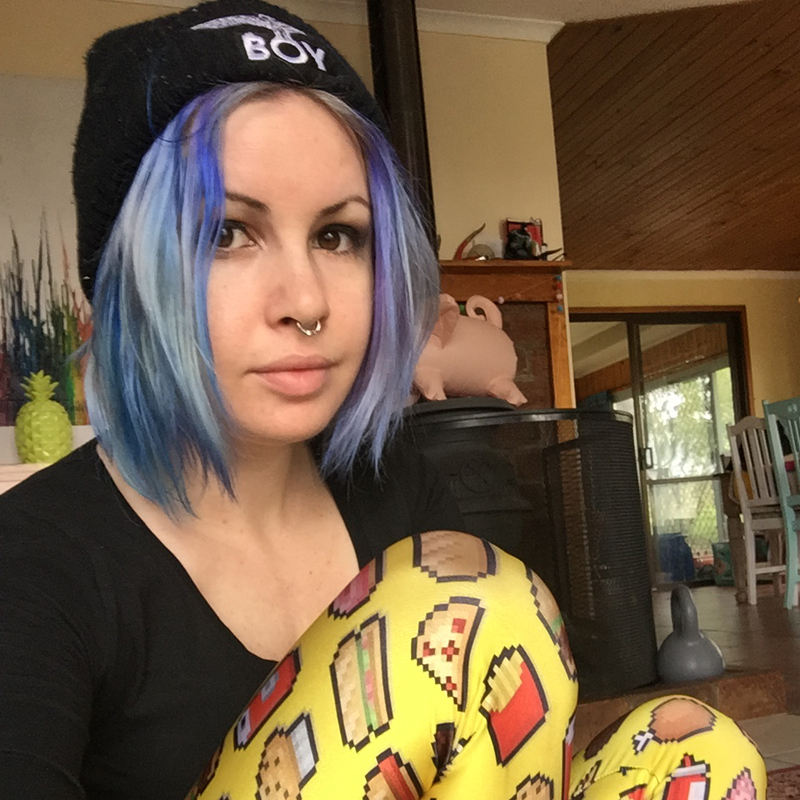 In fact if you have never sewn using a PDF pattern before, I would actually highly recommend this pattern, even if just for the instructions Hayley gives you about printing it out and piecing it all together. I didn't remix the pattern really, and I think that is testament to what a great pattern this really is. 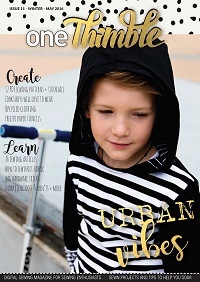 Why change something when it already looks exactly what you want to make? And the absolute best part? My favourite part of any pattern? The size range! 12months to 12 years! 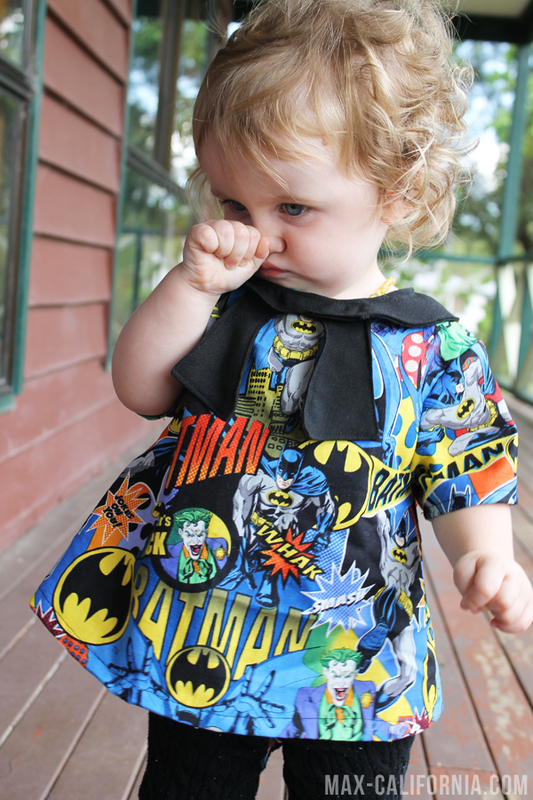 So for the next 10 and a half years, I will have the perfect pattern to make Edison ridiculously cute shift dresses and tunics. 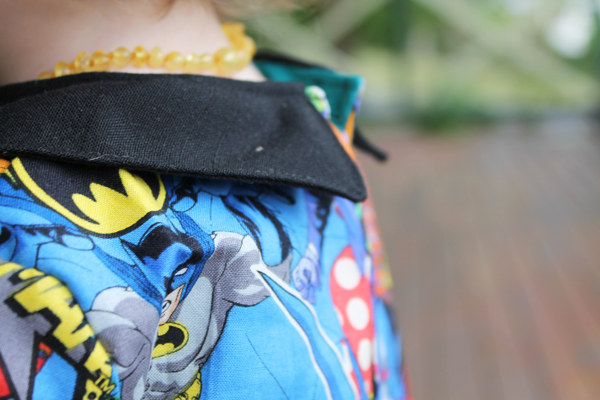 The collar looks tricky, but it's so simple to do! There is a middle section that I left off this one, but it looks like a big bow! 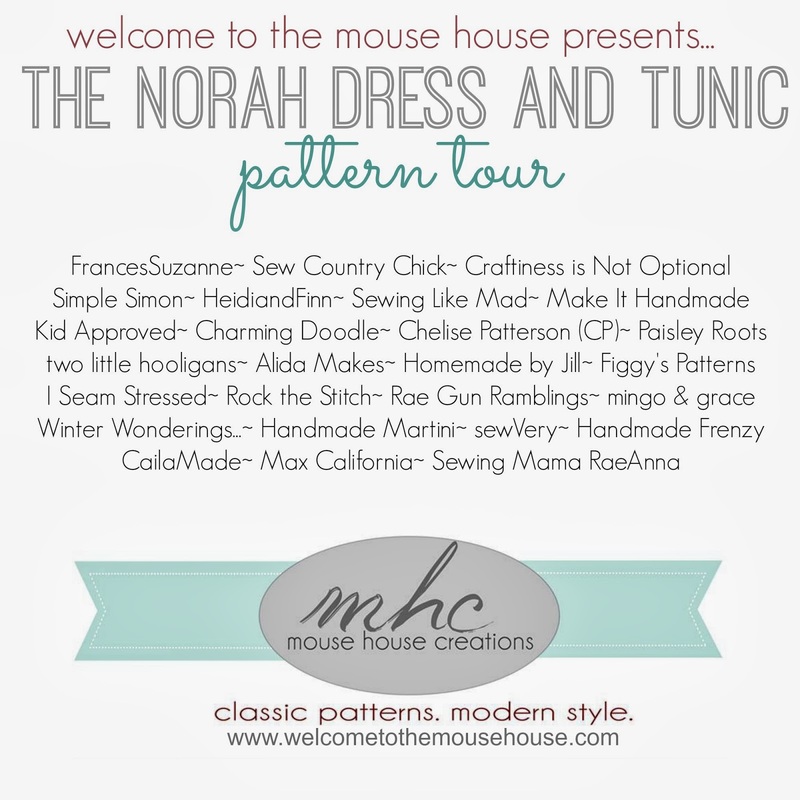 You haven't seen the last of the Norah Dress and Tunic on this blog! Go check out the rest of the clever girls on the tour! 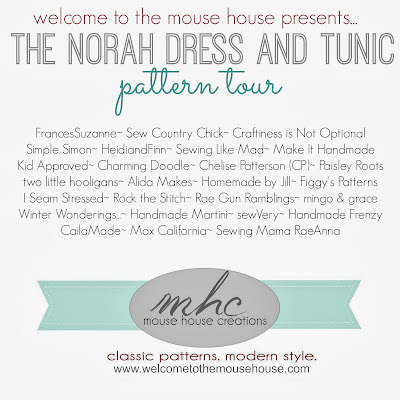 Want to get your own Norah Dress pattern?